As-salamu alaykum and hello everyone ♡. I feel like blogging right now on what I have been thinking lately. Well, some of you may know that I just finish my internship. Phew. At last. God knows what I have been through. So I decided to go back to my hometown. Yeap. Its a pretty big decision from me. After listing the pros and cons. I decided to go back and stay with my parents. I might miss a lot of opportunity here in Kuala Lumpur. Well yes, most opportunities and of course blog events are held in KL. But I need to focus on my dreams right now. #theProjectB. Not gonna reveal it yet. It is still in the process. So this is kinda my sacrifice for it. Also yes I am pretty sad, I am going to miss my blogging friends and my uni years friends. Of course I am going to miss the traffic. LOL. So I try to be positive and think about the good thing I can get by going back to my home town. Okay, if I really need to go buy some makeup, Singapore is just cross away. Haha. Also I get to be with my cats everyday, I got to hug my mum everyday, I got a a flat screen in the living room anddd I got to have my very own proper room! After years of negleting it because I mostly stay in KL for my studies, now I get to go back and be with my bedroom. So, try to make myself happy by moving out I was thinking of revamping my room. Being a girl who just love anything art, yes I do love decorating rooms and all that interior thingy. 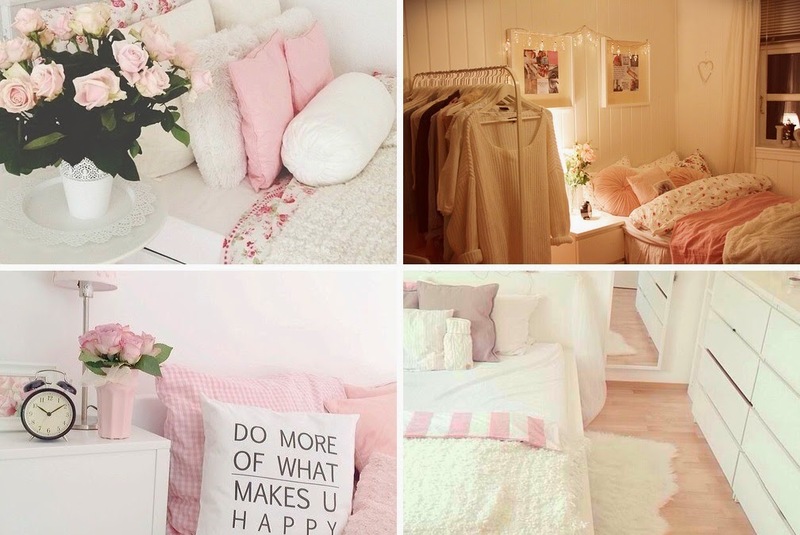 Been finding some inspiration from WeHeartIt and Pinterest I find that I am much attracted to bright wall rooms. Since all of my furniture in my room are white, I think I can get around with below room inspiration. The big thing I have to change is the wall color. My current wall color is a bright Tiffany blue color that I already get bored with. The wall was chosen by me when I was 13 years old. Oh the sweet teenage years I could say. So what I have in my mind after seeing all these inspiration is that I might wanna re-paint my room to a neutral color like some of these colors. But still I am puling back to make the decision as I actually like white walls. Ah... I could not decide. -_- I kinda like Cream, Brownberry, Off White, and Chrome Grey. Then the deco stuff! The hard part actually. Because you can't easily find decorating items here in Malaysia. If you ever find it, it is overpriced. We don't have a pretty good deal of vintage or thrift shop here that offers deco items. Which usually I heard from the YouTubers that they got pretty good deals on deco items there. So I love flower! I super love flowers if you can tell. I even have a special folder in my Pinterest on flower pictures that I find fascinating. Of course to keep the maintenance low, I will go for fake flowers. I saw some good deal at IKEA and they look pretty real to me. Also I love gold accent deco items and maybe some back and white or even sparkles deco items. I also will start painting my own canvas to decorate my wall. Hmm. That sounds like a good idea to me! These pictures gave me some inspirations. Oh decisions decisions. Hope I can revamp my room like what I have imagine right now. So I think I have to make a trip to the happiest place on earth! IKEA! I hope I can get this done before the year end or after I get my camera so I can start YouTube videos. Wee~~ Oh well, need to save for this some more. Aaaaa. Do they accept Monoploy board game money? 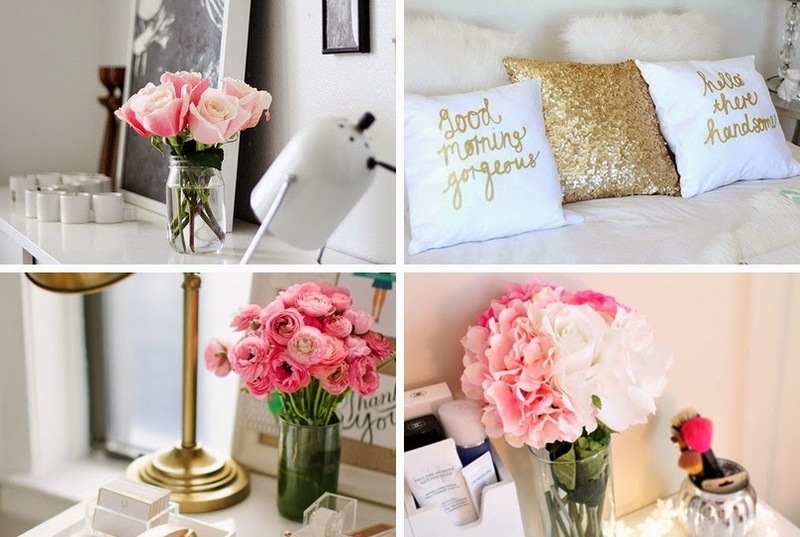 Do you love decorating your room? As-salamu alaykum and hello everyone ♡. Makeup brushes! I love them to the moon and back. Hahaha. Yes, I love makeup brushes. Since the day I discover makeup, makeup brushes have been the tools that I want to collect. Since Sigma started I only got a few brushes from them. It is quite expensive when you convert them and all the shipping you have to pay. Along the way, I start collecting makeup brushes. From local brands to international. Some of the brushes are still with me even after years of using it. Then I discover Real Technique brushes! Founder Sam from Pixiwoo, an incredible YouTuber created a line of makeup brushes from sets to individuals. So I got some brushes last year from an online seller, she lives in Australian and she help me order these. We have these in Malaysia but its fairly more expensive and cost like an high end makeup brushes. These two brushes are my first ever RT brushes. Real Technique brushes are a drug-store brand brushes. They are affordable but still very good quality. I believe there are fakes for these brushes so beware. First impression, Love it! Absolutely soft and firm. They don't look tacky and they are packed nicely! So here I am going to give my thoughts on each of the brushes. I got it last year, and pretty much have tested it quite a lot. Blush Brush. This is from RT individual brush line. I never own such shape of brushes. So the shape of the brush kinda attracts me. It has an "egg" shape and a slanted handle. The handle is pretty light and makes its easier to hold. The brush is 100% synthetic which means no animal hair are used. What makes this brush is different from the other brush is that the "pick-up" power it has. Not like other brushes, you might tend to pick up powder product more than you need. This brush picks up powders 'especially blush powders" nicely. It also makes applying blush easy because you tend to get more control with this brush. The middle part of the bristle which you can see a bit bigger makes a perfect spot to blend in your blusher or bronzer into your skin. This is also great for applying powder under the eye. The pointed shape of the brush can be use for contouring, but I don't really use that part much. Overall, it is a good brush and a multi-function brush. To be surprise, I like to use this brush more for face powder because of its softness and easy to reach out small areas from its pointed shape of bristle. Expert Face Brush. This is also from their individual brush line. I was looking for a good brush to apply my liquid foundation so I went for this. It was a bit awkward on first application. Its a bit stiff and too firm to my liking. After a few months of trying I tend to get use to it. The brush is soft indeed but it is just too firm. What I like about it is that it does not absorb that much of my liquid foundation which usually buffer brush do. I don't really use this on my daily basis because it takes too much of an effort. Its a good brush but you need a lot of time to really blend everything on your face. The way of using this brush is like the normal C-shape foundation brush.Which you apply it downwards in small strokes. But this is much better than the normal foundation brush. Its also need a firm application on your face, so when applying under the eye is a bit trouble and sometimes leave a streaky mark of foundation left. It gives you a medium-heavy coverage. Good for cream and liquid. I usually use this brush went I have more time to makeup, usually for special night out. Applying small strokes of foundation is actually the best way but it takes a bit more effort. So no wonder the name of this brush is Expert Face Brush. This is also good for applying and blending cream blush or liquid type of colored products on the face. Store - Shins / Online (iherb.com or any local online shop reseller eg : The Fashionette, Buff's Vanity, Makeup Haven Vanity. **Disclaimer - This product(s) were bought by my own money. What RT brushes you own? As-salamu alaykum and hello everyone ♡. What is you plans for the weekends? Ok here I got another Maybelline Lip Balm review. Guilty? Pffft. Hahahaha. No I am not. (If you know what I mean). Well I saw this on sale then suddenly my hand automatically moved and grab these. And suddenly I was in front of the counter. Paying. (cricket sound). Okay whatever! Now let's get on to the review! This lip balm is another new edition from the Maybelline Baby Lip Balm collection. They have the ones in colors, natural glow and different flavor. You can check out my previous review on the old collection of the baby lip balm if you want. Search it in my search box for Maybelline Baby Lips. What we got here of course the Asian edition. Smaller tubes. The one that you can see in YouTube mainly from the American are bigger and they have in different colors. Oh well. What we have here is just these 2 different flavors that is Icy Mint and Fresh Mint. Both are just a clear lip balm with no color or tints. Each of these lip balms has SPF 30 in it. Both have a medicated mint scent it it. Nothing fancy about it. This is kinda similar to the old edition of Maybelline Baby Lip Balm in menthol but more minty. So if you got that one I don't think this is necessary or if you still want it. Well, you can of course. Nothing bad will happen anyway. Haha. In terms of hydration, I find that this is just a little bit more moisturize than the others. I apply it and a few minutes its settel down on my lip. Lips becomes a bit plum and perfect for applying other lip products. Texture wise, just like other lip balm. A bit waxy. This edition is more focus on protecting your lip and hydration. Claims to keep you lips from chapped in 12 hours. Can really tell since I been biting and sipping drink all day and re applying of lip balm as usual is needed. Overall I can say that this lip balm might just be a good lip balm if you don't have any lip balm that really gives that hydration, and you want something as a base before applying other colored lip product. Don't like sweet flavored lip balms, also you need to go for this. Love the minty feeling, then go for this. Love menthol scent, go for this! This does not have that much of a different from the old edition. If you love collecting lip balms like me, well I think you should grab these since its a very cute lip balm. Oh women! Anyone interested in a full post of my whole lip balm collection? Mihmihmih. Are you a baby lip balm collector? 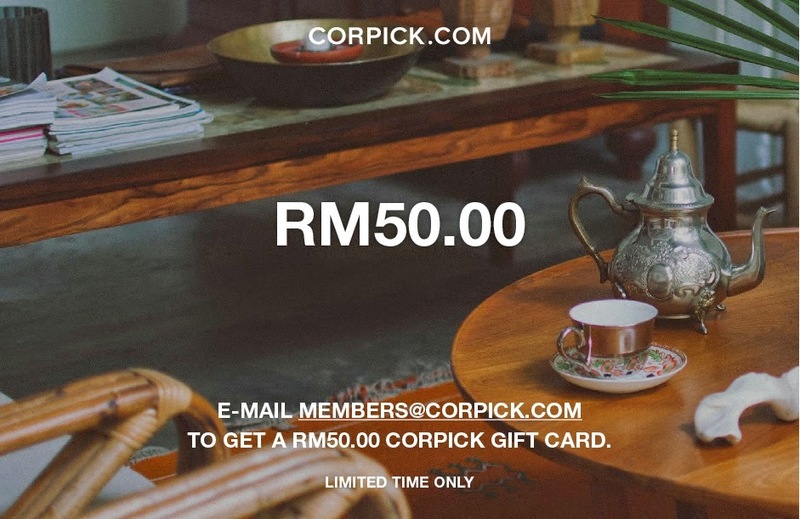 Corpick is giving out RM50.00 Gift Card to spend on anything in their store - with no minimum spend required. Just email members@corpick.com and you will receive a gift card. Limited to the first 250 people who email in. As-salamu alaykum and hello everyone ♡. In the process of moving out. I already have set and illustrate what my room going to be next. 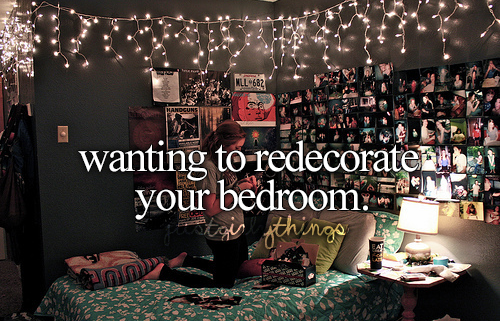 I have a few plans on giving my room a makeover! Following interior blogs like Daily dream Decor, A Beautiful Mess and Tiffany Leiigh makes me so enthusiast about have a cute room of my own with deco pieces that is exclusive and vintage. Really gives a pop to any room! Glad I discover Corpick.com , Corpick is Malaysia’s first modern home and gift online store, started in 2011. When I first went to their website, I am currently have so many wishlist even on the first page I am scrolling down. Super love all of their items! I love a how they mix both vintage, and modern quirky items in their store. 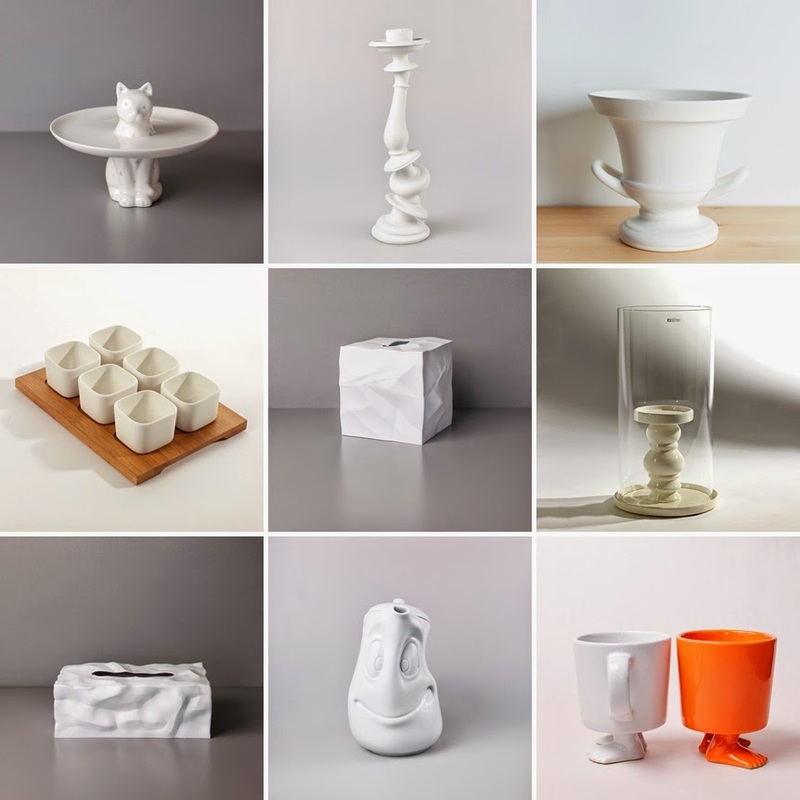 There are over 700 high quality home-ware and personal goods that you can buy! 95% of their products are priced below RM500.00. Below are some of the items I find super cute! Might getting one of those..
As-salamu alaykum and hello everyone ♡. Another review here and I am pretty excited to share this with you guys. 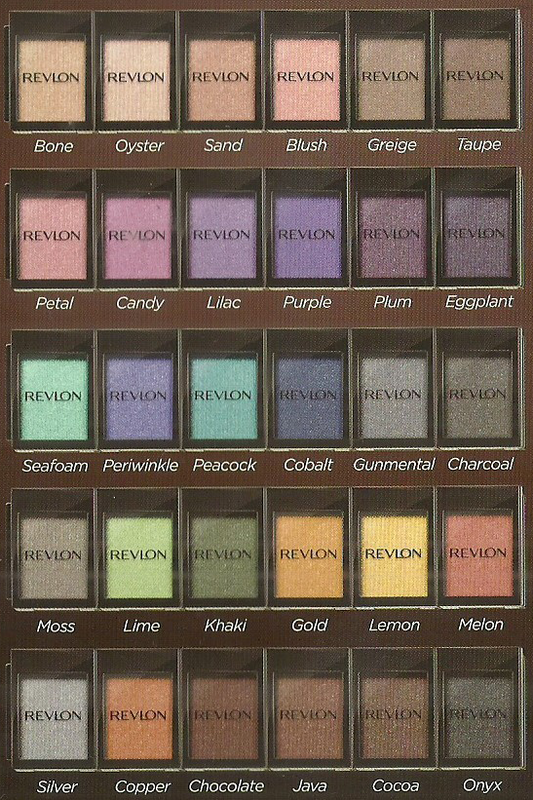 Revlon just launch their new eye shadow singles. Not really new, it was launch in the US last year and now it has landed Malaysia. Awesome news to all Revlon lovers! Revlon is a well know drugstore brand with its awesome foundations and lip products. Super love them. If you are a makeup junkie or starting to build your eye shadow. I recommend these. Come let's hear what my thoughts are. So Revlon invented these eye shadow singles in a unique way. The eye shadow singles can be bought individually exclusively at Watsons for RM13.90 each. 30 shades to choose from and what unique about it is these eye shadow singles packaging is design with a "track" besides them. So you can link/attach all of your favorite shades together to foam a small travel friendly palette. How cool it that. Thank you Revlon Malaysia for letting me try these babies before it came out. It will be exclusively available in Watson starting June 2014. I really love the concept where you can customize your own shades into a line of palette. I don't have problem on attaching them together. Its super easy to slide in and slide out. Also love how we can see what color they are because of the window type of packaging on the front. Here, I got to try all pearl shades that they are available. The description is written at the back, so you can get the info weather they have finishes such as matte, pearl, frost or satin. Down here is a little demonstration on how you can attache these eye shadow singles together. Now let's talk about the eye shadow it self. Here I got 6 shades with a pearl finish. I got Onyx, a black glitter shade. Lilacs, a cool undertone light purple glitter shade. Candy, a pink glitter shade. Sand, an earth tone yellow glitter shade. Peacock, a sea foam green glitter shade. Periwinkle, a cool blue with a bit of purple undertone glitter shade. So basically what I have here is a bright glitter shades. First impression, I swatch it with my finger. It pickups so nicely but when I swatch it, its kinda fade. Its not chalky but just that the pigmentation is a bit too soft to my preference.So I took my eye shadow brush and the swatches is nicer than using your finger. Pigmentation wise, I would say I am not that impressed but they are build-able. You kinda need a nice base for your lid and around 3 layers of these eye shadow to get the most opaque finish and color on your lid. I love how the glitter is not giving you this tacky looking to your eye shadow, its pretty nice and subtle. Out of these 6 shades I love Onyx. I think it is the most pigmented color of all. All I can say is these eye shadow is a pretty good buy if you are just about to start your makeup kit and looking for a single shades to your own preference and customization. Probably mixing with a medium (water) and eye shadow primer will do the trick. These reviews are only base on these 6 pearl eye shadow color, I heard the mattes ones are nicer. I am looking forward to try the natural shades after these. Which shade are you planning to buy? As-salamu alaykum and hello everyone ♡. To tell you the truth, I love collecting jewelry. Especially bracelet, watches and brooches. These are my favorite jewelry item and I am looking forward to collect them in the future! The only thing I have to keep in mind is that the way I need to store them because I always can't keep track to where I put them. Haha. So today I am going to show you a cute jewelry store that I find have lots of awesome jewelry pieces at a top notch price! A good way to start from you jewelry obsession and collection. Jone's April offers a variety of accessories from bracelet, watches, rings and even hair accessories. All of their accessories are made in Korea and their products are limited edition series. They are also durable and affordable. Each design will only available in small amounts but not too miss that they always come out with new and fresh design that you can choose from. The quality f the accessories are also satisfying. The one I got here is the Endless Love Single Diamond Heart Bracelet featuring a gold plated bracelet that feels light on your waist. I match it with the Full Love Crystal Bracelet that features silver chain with diamond studs on it. Super cute! The last picture as you can see here is a ring, Only Love Diamond Ring. I bet I wanna wore this to some special night out! Do check out Jone's April online store ( http://www.ijonesapril.com/ ) and their Instagram ( http://instagram.com/jonesaprilaccessory) for updates! What is your favorite type of accessories? As-salamu alaykum and hello everyone ♡. Happy Sunday! I got some good stuff here to share.My breakfast for the past week has been good thank you to Pristine. I got a whole boxes of these new Cereal bar to be share. Stay tune until the end of the post for something awesome. Have you been struggling to make your own healthy breakfast or probably a healthy snack to much while waiting HIMYM maraton, haha? Well I did. Usually I will just grab anything from the kitchen or just bought them i=from the smalls stall I can find along the way to work. Well, need to keep in mind that breakfast is important but a healthy one is also another topic we need to take precaution of. Have you heard about YoGood product? I bet you must because this is always in the cereal section (my favorite section, hihi). They have a lot of flavors and type of cereal bar to choose from. Then I got this opportunity to try this cereal bar that is infuse with collagen! Now talk about pretty skin while eating breakfast and munching on while watching tv! Awesome! This new flavors comes in 2 flavors that is Cranberry Peach and Blueberry Pomegranate. Each bar is coated with Yogurt and contains an average of 1g of collagen per bar. Each bar also contains less than 100g calories and said that its suitable to be eaten anytime of the day. When I first open up the boxes I can really smells the cranberries and blueberries. First impression "Wangi nya!" Which I think a funny and unrelated food impression. Each bar is packaged nicely which I find good for traveling and for that on the go snack that you can just put in your pocket. The taste of the bars pretty much just like a cereal. I find that I like to eat this with cold milk. My favorite got to be the CranberryPeach. The bars also does not have artificial type of flavors, you can really taste the real fruits of the bars. 1 bar can already make you full during breakfast time. Also don't forget to join their contest! When you purchase these bars, you get the chance to enter and win a Samsung Galaxy S5! So do check that out ya! Now to my own giveaway! Scroll down to find out more! I am giving away 6 boxes of these yummy YoGood Glow Cereal Bar! I am going to run this contest short and fast so I can send it as soon as possible before I move out from my house. So 1 lucky reader will be receiving 6 box (5bars x 6boxes = 30bars) which equivalent to 1 month of yum yum healthy breakfast for you! So check below rules and enter! 3 of the CranberryPeach flavor and the other 3 of the BlueberryPomegranate flavor. Good luck everyone! As-salamu alaykum and hello everyone ♡. When it comes to makeup remover, I admit I am an avid user of it because I find that makeup remover is the most important product to be use especially when you are wearing makeup, heavy application or even light. Why? Because a cleanser alone cant help to clean your face entirely especially in out polluted air we have right now. Makeup remover have many types and many kinds in the market. The popular ones is the water and oil type of cleanser that you need to shake up before using it. There is also a water base makeup remover and also like this one an oil base makeup remover. If you wan out of makeup remover did you know that you can use an olive oil that you can find in your kitchen right now to remove your makeup. Yes, but it may not be a convenient thing and may end up messy. So the product that I am going to review here a a makeup remover that has an oil base. That means its has a liquid form of just like an oil. It is formulated specially for removing makeup and dirt on the face. My thoughts. At first I had a hard time using it because I am always busy and usually a sheet makeup remover does my job faster. After a while trying to use it I find that this works best for my super waterproof makeups. Also I do this once a week where during times I wore a heavy makeup I will gently massage this into my skin trying to "break" all of the makeups on my skin and just wipe off with a baby wipes. This leaves my skin super moisturize and hydrated. It does not even leave a single greasy feeling. I wish I can have more time everyday to use this kind of oil base makeup remover because I find that it really helps remove all of my makeup as well as keeping it hydrated but it takes a little more effort to use this. As you can see in the picture above, a little demonstration on how makeup are removed. 1-2 drops of the oil, massage in circular motion. At first it does look scary. No worries, the oil actually absorb all of the makeup out of your skin. A light wipes with the baby wipes and your skin is good to go. This oil cleanser also have a refreshing scent to it. Pretty nice! Ingredient Highlights : Olive Oil, Palm Oil, Coconut Oil, Sweet Almond Oil , Rice Bran Oil anthemis nobilis flower oil, tilia cordata flower extract, Vit A & E.
Have you tried any oil base makeup remover? What do you think about this one? As-salamu alaykum and hello everyone ♡. I am very excited as I am going to review this product as this has been my current skincare for the past 2 plus weeks. Its a luxurious skincare set that promise an amazing result. Comes in a prestige blue catch magnet hard box, this does bring up a smile to my face. Love it! Introducing you, the Pristine’s Skin Rejuva Essential Pack, an anti-aging skincare range. It contains only the best nature’s rejuvenation and skin protective ingredients. Now now there. Anti Aging? Yes A huh! You need to take care of your skin elasticity from now on. Especially when you are already above 21 years old. Sun rays, frowning, stressing cause skin aging. Now we don't want that to happen. Uh-huh! No! Now let me give you the explanation of this skin problem that you need to take precaution. When your skin looks rough, dull, and you may notice that acne scars and wound seems very hard to heal. This is because you are losing the "elasticity factor". A proper caring and proper skincare can help you with this problem. I know I know this sound so clique. But seriously, a proper ingredient skincare especially the ones that does not give you a "future side effects" is a must. I don't want to sound so protocol or clique again, but here what i find interesting in the current skincare that I am using. Let's get on to the review. This set contains 4 products. The very basic need you need to use in your everyday routine. Skin Rejuva said that it has this 6 benefits. Replenish - Restore - Repair - Rectify - Revitalize - Rejuvenate. Here is a quick introduction of the 4 products. 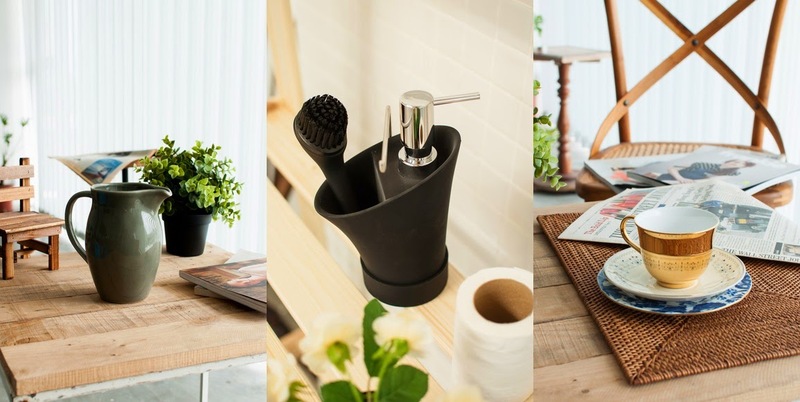 Each products are numbered on which you need to use first by steps. The facial cleaner. A must product you must you no matter how busy you are. Who does not clean their faces? Whoa. This cleanser gel can help encourage skin cell turnover and nutritional absorption for smoother, more radiant and healthier-looking skin. It is also sulfate-free and non-irritating to the eyes and skin. It will also gives you a skin brightening effect and deep cleaning through your pores. Also comes in a thick sturdy plastic bottle. This Hydrating Toner is a skin-beneficial ultra-hydration toning lotion. It is recommend to be use after cleaning your skin. Helps to prepare your skin for the next product for better absorption. Oh yes, it is alcohol-free formula but also helps to refines the pores and tones the skin with its skin-soothing botanical ingredients. It also helps to protect your skin from environmental pollution. This comes in a twist cap hard plastic bottle. For my own personal preference usage, 3-4 pumps is already perfect to be apply to my whole face. The finishing product that helps to give your skin the protection and aging needs. It can help to tone, firm, nourish and repair the skin. It just melts to your skin so quickly and does not leave your skin greasy and that uncomfortable feeling. Super easy to apply and blend in your skin. I personally agree with this! It said that wrinkles and fine lines are reduced, your kin becomes toned and firm and also leave your face glowing and naturaly radiant. It has a light, silky formulation that is instantly absorbed deep into the skin, leaving a matte, protective barrier to prevent water loss and reduce skin irritants. Totally agree with this! Its also safe and can use for under your eye to help fight wrinkles and lines. It is also a great makeup base! 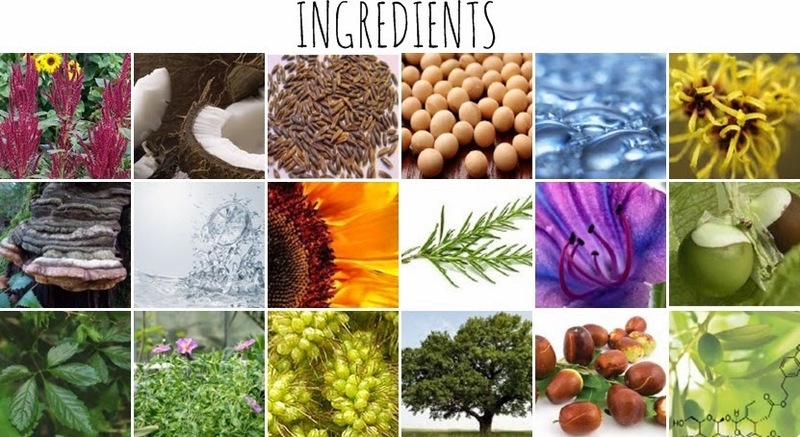 There are many type of active ingredients use in this products. All of them are natural and no animals were harm on making this product! Phew! Thank you! Some of them are such as Hyaluronic Acid (best for hydration), Coconut Oil (best for sensetive Skin), Hamamelis Virginiana Flower Water (also known as witch Hazel, popular on products that helps eliminates bacteria), Fomes Officinalis (helps firm the skin and reduce pores), Rosemary (high in anti-oxidants), and many many more. Of all 4 items, this caught my attention so it deserve a single picture. Hehe. I cant really find skincare that offers this kind of product. So this title is given by myself. This Refreshing Gel is recommended to be use first before all products. As describe above, this works like a gel cleanser. I find that it helps to removes my dead skin cell in a very gentle way. It is not irritating and gives a burn sensation if you ask. This capture the dirt of the skin and leave your skin smooth and brighter. I place my Step 1 (Refreshing Gel) and Step 2 (Cleanser Gel) in the bathroom. I make sure my skin and face is dry before starting to apply the refreshing gel. It works better on dry skin. So after removing my makeup I pat dry with a clean towel. 3-4 pumps on to my palm and I start rubbing it straight to my face. Using a circular motion on my fore head, cheeks and chin. A few seconds its kinda gently exfoliate my skin. I love how it gives a little tingling mint sensation and kinda strip of some of the left over dirt on my face. Then I rinse it off with water. Continue with the cleansing routine. Its okay if there is still some exfoliating residue on my face, because I am going to wash it off with the cleanser. 3-4 pumps of the cleanser plus some water. I foam it up and start washing my face. This is how my first routine goes with the 1st and 2nd product. What I can feel after using both of this product is that, as usual, my skin feels clean and super love how it does not make my skin feels too dry. The other 2 product from this set that i put on my vanity table, is the Step 3 (Toner) and Step 4 (Facial Serum). After pat dry, I took 2 ply of cotton pads. 3-4 drops of the toner and I apply it in upward motion. Let it dry for a few seconds and then I took the Step 4, Facial Serum. The texture of this serum is like a moisturizer. I just love this serum because it absorb in my skin like so fast! Leaving my skin matte and hydrated. I apply this serum in circular motion. And wall-la! Finish. How easy is that. Haha. This routine really help with my busy all day long dont have time for skincare routine day. Here is my bare face again! Haha. I hope I don't scare you. I have use this product for 2 weeks plus now. It said that it is best within 28 days. But I am just gonna give you a 2 weeks verdict to see how fast and effective this product is. What I can see the difference is that my skin is less sensitive in a way that I don't really have to worry when wearing a foundation. I am avoiding as much as I can from wearing a foundation because I find that it can cause enlarging pores and acne bumps. This help preventing it from happening. A can also see my eye bag a lil bit firmer. I can still see the appearance of my eye bag but it kinda reduce a bit from my own opinion. The most significant result I can see is that my skin become smoother. Applying foundation and BB Cream have never been so easy! Also I love how all of this skincare does not have a scent that can give me this kinda "boring" routine.My skin also feels less oilier than it use to be. It is a fast and easy skincare product set for a lazy and busy person like me.Below is the picture that i got from their website. A verdict from their own customer.